I am very pleased, that in the coming months, Pedare will complete a Reconciliation Action Plan (RAP). The plan will embody Pedare’s commitment to recognising the special place and culture of Aboriginal and Torres Strait Islander peoples within Australia. Pedare has a vision to educate our non-Indigenous population to understand, through the curriculum, Aboriginal and Torres Strait Islander histories, create empathy and find solutions for the future. We want Pedare students to understand that practical measures are needed to address the disadvantage experienced by Indigenous Australian peoples in health, employment, and education. We want Pedare students to have an understanding of positive and purposeful partnerships that can make the world a better place. Ms Monica Williams, from Association of Independent Schools (AISSA), is assisting the RAP team, which is made up of Pedare parents, students and teachers. RAP will be a living document which builds and fosters relationships and meets our vision for reconciliation and community harmony. 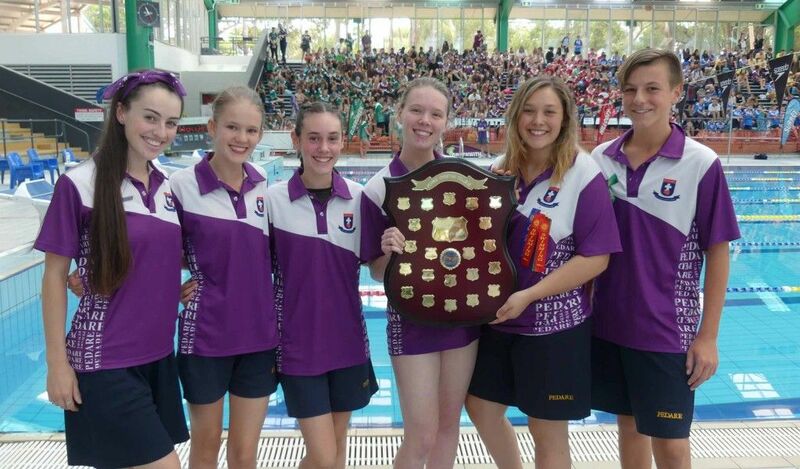 On Thursday 15 February, we conducted a very successful Middle and Senior School Swimming Carnival at the Adelaide Aquatic Centre. It was wonderful to see so many students wearing their Community Tops with great pride. From the poolside, the view of the communities gathered on the tiered seating, was a really powerful representation of Pedare spirit and culture. I was very impressed with the organisation of the Community swim teams by the student leaders who took charge of making sure all races had representation from their Community. 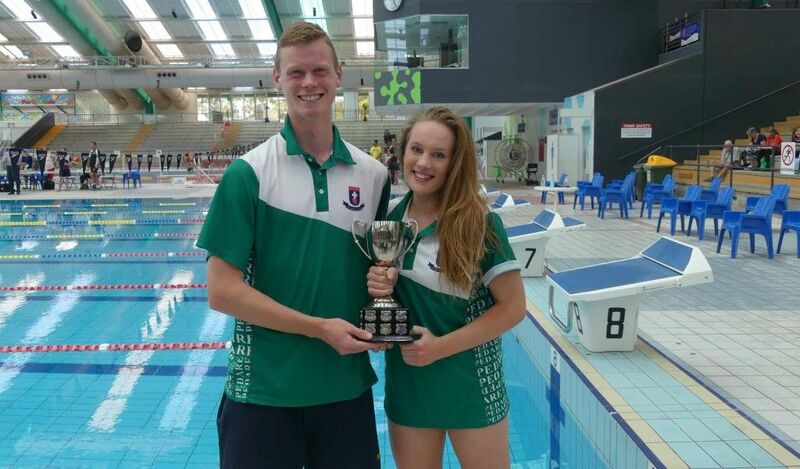 My special thanks to Mr Joshua Willis and Mrs Emma Hart, our Sports Department, who ran a very smooth day of competition, with Greenwith Community victorious by a narrow margin from Hillcott. Finally, I thank the many parents who took time out of their busy schedules to come and support their children and the College. Hard to believe that it is already end of Week 4 as we move into a very busy and exciting week with Swimming Lessons and our Swimming Carnival on Thursday 1 March. I reflect on my previous 4 years and 4 Swimming Carnivals at Pedare, and it was on this day in 2014, my first year at the school, I knew I had made the right decision to become Head of Junior School. This was because it was the first time I was able to see our whole community working together to ensure a wonderful day for our children, with parents and grandparents, teaching and support staff working together side by side. Another significant part of the Junior School Swimming Carnival, is how involved the staff are at this event, with many joining the students in the pool. It is a pleasure to see our teachers go the extra mile in support of our children and this is truly special and unique to the school. In Week 7, Tuesday 13 to Thursday 15 March is Parent/Teacher Interviews. These are an invaluable experience for the teachers and we hope for you as parents. There is a huge body of research which points to the correlation between parent involvement in a child’s schooling and their educational success. We do encourage an active participation in your child’s learning. Celebrate the successes, and together, with your child and teacher, work alongside each other to further develop any challenges. All year levels will open their classroom and invite parents/caregivers to share in the learning. It involves classes showcasing completed work to their special guest. Each child will have the opportunity to share and reflect upon their different learning experiences, work, learning environments and classroom experiences. Learning Journeys are valuable to the students, enabling them to develop many different skills, including; responsibility, reflection, choice and control of their learning through self-evaluation. Year 5 parents please note, after Learning Journeys, Emily from Wilderness Escape will be offering a parent presentation from 6:30pm to 7:15pm. It was impressive to see so many students enthusiastically competing and cheering for their Communities at the Swimming Carnival last week. It was a fabulous day filled with community spirit, healthy competition and some outstanding performances. We had the fastest swimmers showing us all how it’s done and, just as importantly, we had a majority of students putting their hand up for events and filling up the lanes in the hope of winning some points for their Community. It was truly inspiring to see the support that was given to each and every competitor throughout the day. Well done to Greenwith on their victory with Hillcott a very close second. We look forward to resuming the friendly competition at the Athletics Carnival in Week 7. On Monday night, at the Year 7-9 Parent Information evening, I spoke about the importance of setting up good routines for Middle School students. Organisation and prioritising work are often the two issues that some students struggle with when they begin a new year. Each year brings with it, not only the change of classes and teachers; but also an increase in the level of expectation. We want all students to put in their best effort in each and every task and it is important that students communicate with their teachers if they are having difficulty completing work. Our teachers challenge students to become the best person they can be, and they are always willing to spend a little extra time to help students understand if they are having challenges. As parents, I encourage you to contact class teachers if you would like further information or would like to discuss your child’s progress in a particular subject. A reminder about our mobile phone policy that was highlighted to students before the Swimming Carnival. We recognise that the ability of students to use the technology available at their fingertips is exceptional and there are many examples of classes using this well. In Art classes, students are taking photos around the school and studying various types of photography and images; in Science students are taking photos and videos of experiments and inserting these into their reports. Students are reminded not to use their devices / mobile phones at break times as this is a time for interacting with others and having a break from screen time. Students need to be able to interact on a social level and do not need to have a phone permanently attached to their ears! Students are allowed to have their device with them throughout the day, but the device must be silent or switched off. If you need to contact your child while they are at school, please contact the College Office and staff can pass on any messages. We teach students about the responsible use of their devices and generally they are very responsive and understanding of College rules. Students have been reminded about not posting images of themselves or others on social media during school hours or posting images in College uniform. When incidents do occur that are against the College policy, we will work through any issues with students and families and help to educate them on acting responsibly on social media. We look forward to the coming weeks as the students reach the halfway point of Term 1 already! Although there has been a change to the landscape in the Senior School in preparation for the building program, it was particularly pleasing to return this year to see most of the remaining classrooms in the Senior School precinct had been upgraded with new pin boards, blinds and fresh paint, to accompany the new desks. A considerable amount of work had been done over the Christmas break and the rooms look smart with their individual colour schemes. A special thank you to the Maintenance and Grounds staff, who are continuing to beautify our surrounding environment. 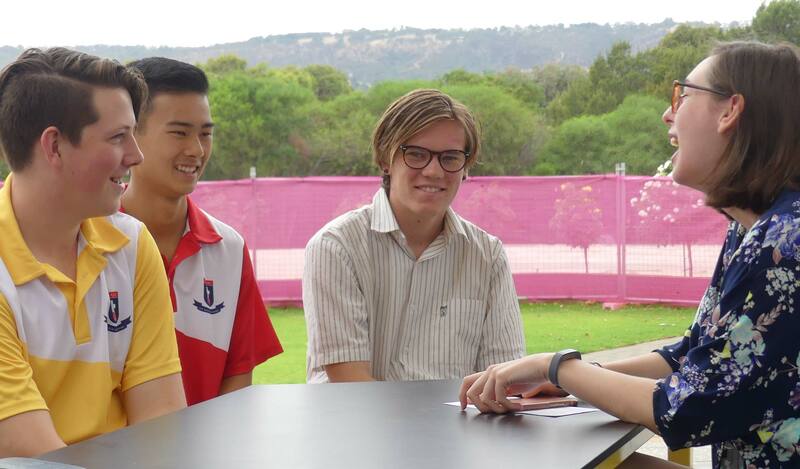 Red Gum has emerged as a new suite of offices, where the Head and Assistant Head of Senior School, Community Coordinators and Student Counsellors are located. It is a busy, vibrant area, with Community Captains coming and going as they work on their teams for the Swimming and Athletics Carnivals. Thank you to the Year 12 parents who attended the recent Meet the Teacher evening, where they had an opportunity to learn about the expectations and curriculum requirements for their children in such an important year. 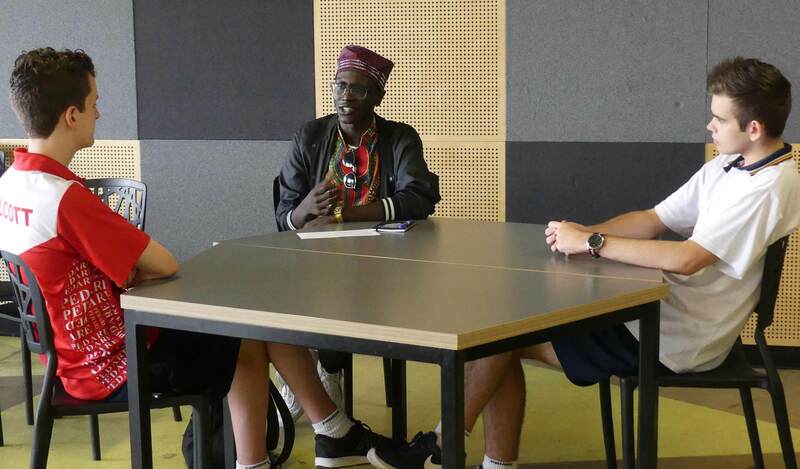 This was followed later in the week by a Tips for Year 12 session, whereby successful past scholars returned to the College to share advice with the current Year 12 cohort. We are very grateful for their support and willingness to continue their association with the College, which we hope will continue for many years to come. 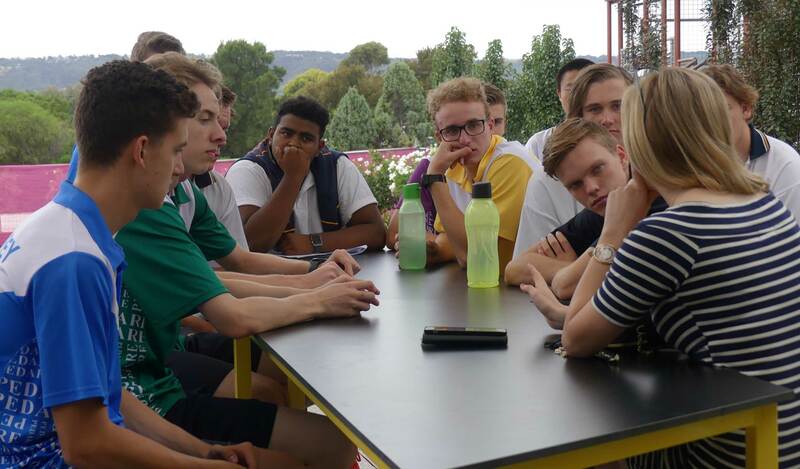 The Year 12s certainly appreciated the tips they received and the small group discussion was lively. Week 4 has passed already and the Senior School students are fully engaged in their learning as the assessment tasks begin to accumulate; hence the importance of the Assessment Calendars that were emailed home, so that students can plan ahead, and balance their learning commitments with other out of school priorities. Pedare will be hosting an Open Night on Tuesday 6 March from 4:00pm – 7:00pm. Open Night is your opportunity to visit our Middle & Senior School to experience and discover what Pedare can offer your child. View the designs and new learning areas to be constructed in our exciting One College building project in 2019. 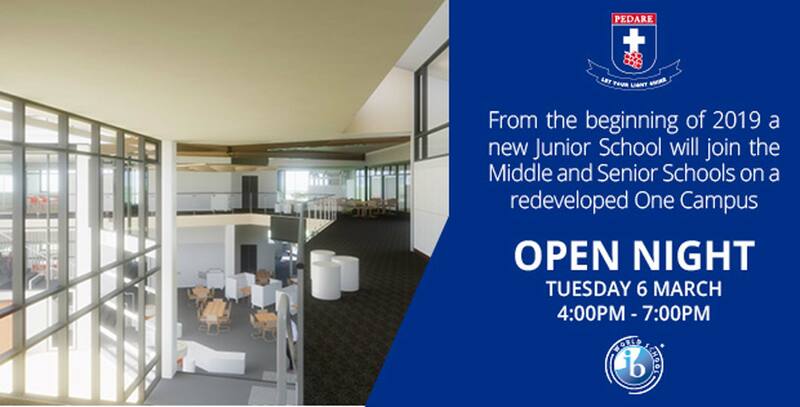 Tours of both the Middle & Senior Schools will be conducted throughout the evening, highlighting the future learning possibilities that await you. You will be able to learn about other areas including extra and co-curricular opportunities, student well-being and pastoral care, career pathways and how Pedare is innovating its teaching and learning to provide opportunities and transferable skills for life after school. Enjoy an evening of discovery, exploring the learning areas, listen to live music performances and enjoy light refreshments from the Wattle Cafe with fun activities for your child/ren along the way. To secure the limited enrolment spaces available for 2019 and 2020, please click here. All food and wine orders are by pre-order only and will close on Thursday 22 March (Week 9) to give suppliers enough time to prepare. 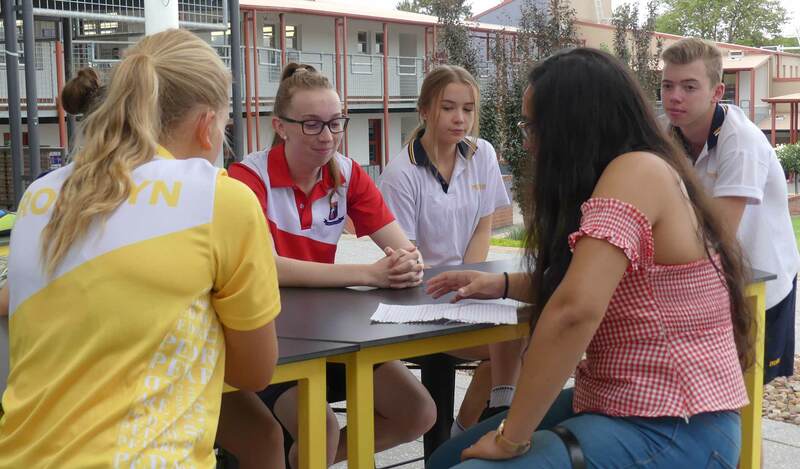 A combined Middle & Senior School Worship was held in the Wattle Courtyard on 13 February for Shrove Tuesday. 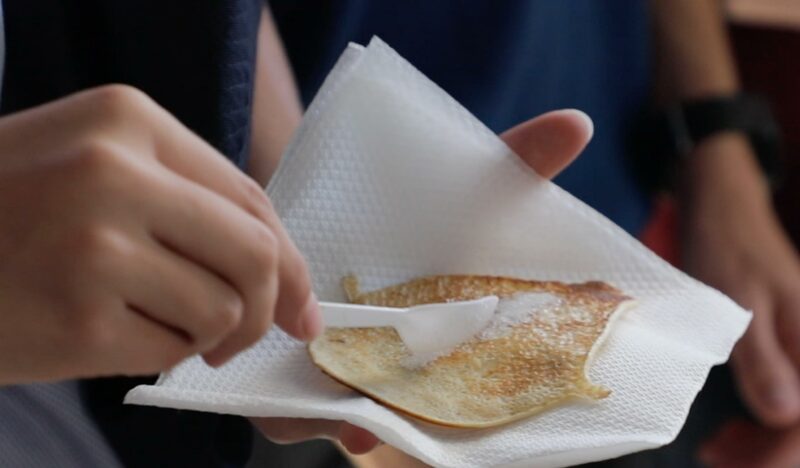 Students gathered for prayer and a brief talk about the meaning of Shrove Tuesday and Lent, before Pancakes were cooked and served by student leaders. All students was asked to make a gold coin donation, with proceeds going to Uniting Care. This year’s Ash Wednesday Service, was held on Wednesday 14 February at St Mark’s Anglican Church for Pedare staff and College community. The service was led by Rev’d Mark Hawkes. Ash Wednesday is the first day of the Church season of Lent. Each season of the Church has a colour associated with it. The colour we use a lot during Lent is Purple. The word “Lent” means waiting. Many Christians use the time of Lent, as they wait for Easter, to focus particularly on preparing themselves for Easter and all this means. Some Christians choose to give something up or make a promise during Lent – a small sacrifice to help them focus on Jesus and their desire to become more like Him. This is a personal choice, just between you and Jesus. The Receptions experienced a wonderful excursion on Tuesday, 20 February. As a beginning to our PYP theme for Term 1, ‘How We Organise Ourselves’, students had a fun and hands on experience exploring through play different facets of a community. Students worked in small groups and built different parts of a community, while making connections relating to each part of the community. Great fun and learning was had by all! Mr Pearce, Mrs Clifton and Mr Hopper will take part in the Pedare’s Hair Scare, Greatest Shave Fundraiser on Friday 16 March and have made a promise to the community of Pedare that if they raise $5000, all three will shave their heads for the Leukaemia Foundation. 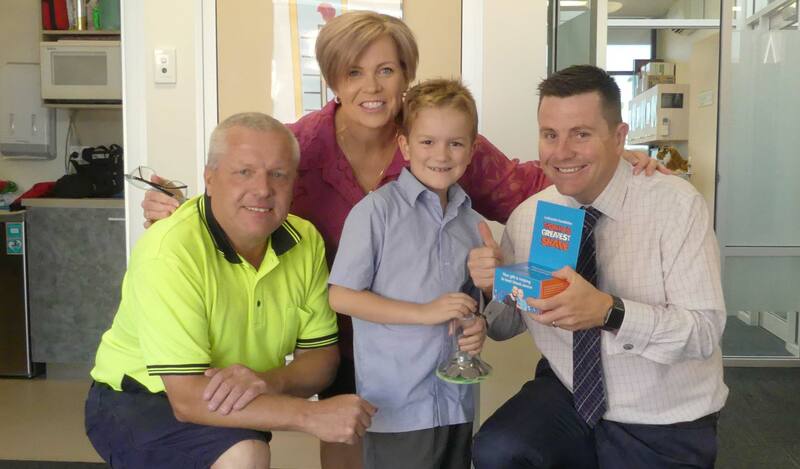 It was very heartwarming when Junior School student, Domenic Leonello, Year 2, brought his pocket money and donated it to the cause. He was the first student to make the selfless act and one of the first people to contribute to the cause and get the ball rolling. Domenic said, “he was saving to buy something but when he heard about the Greatest Shave, he decided that he could go without to give to someone else.” We are truly lucky and grateful to work in a community that values the ‘bigger picture’ and has a social conscientious. Thank you Domenic for helping to reach our goal. To find out more about the Pedare’s Hair Scare, Greatest Shave or to donate to the cause, please click here. 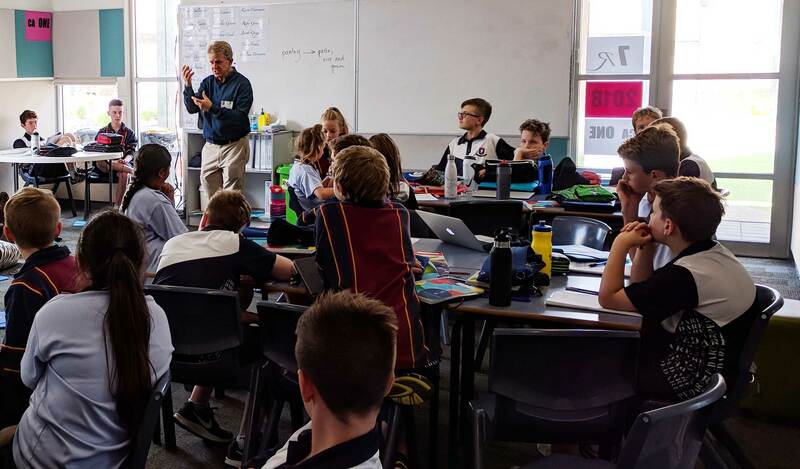 As a lead up to next week’s Junior School Swimming Carnival, Community groups gathered to practice their Community chants and were given important information about this very exciting up-coming event. 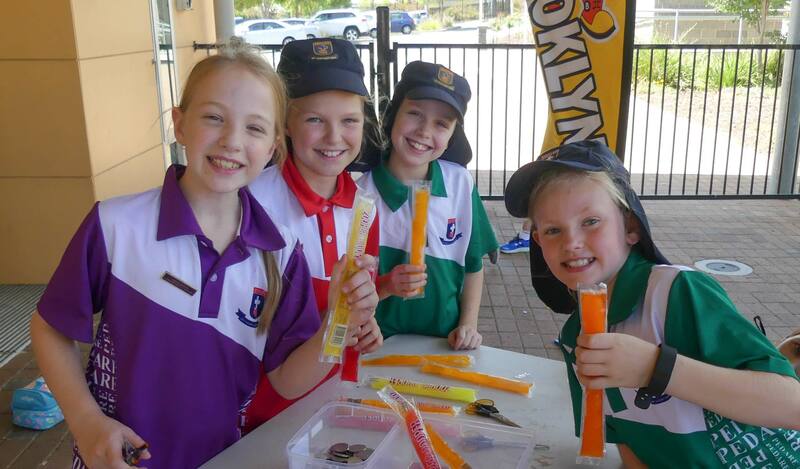 This was followed by student’s being given the opportunity to purchase a Zooper Dooper ice block from Year 2CH, as part of their unit of inquiry and in support of Mr Pearce, Mrs Clifton and Mr Hopper’s Greatest Shave Fundraiser. All monies raised will go to the Leukaemia Foundation. 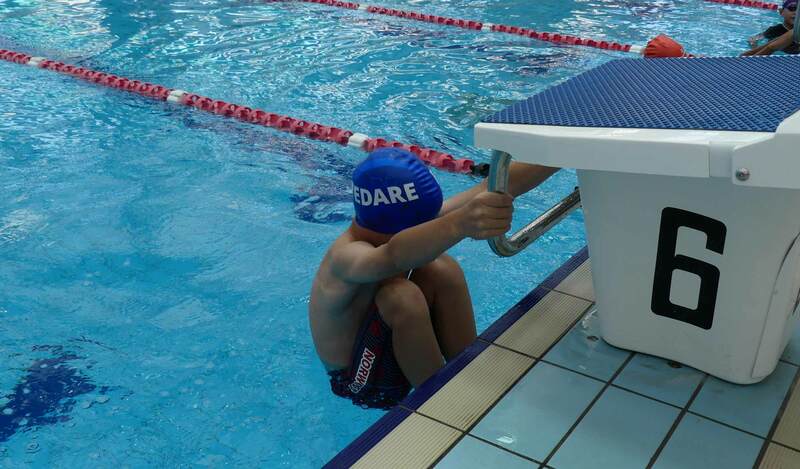 On Thursday, 15 February, students from the Middle & Senior School participated in the annual Pedare Swimming Carnival at The Adelaide Aquatic Centre. The five communities entered the centre full of excitement for the first sporting carnival of the year. It was wonderful to see so much colour and energy from the students as they anticipated the day’s events. Each community eagerly participated in championship races and novelty events and cheered loudly from the stands. Thank you to staff and parents who assisted, and congratulations to the students, for their excellent sportsmanship and behaviour on the day. There were some fantastic team and individual performances throughout the day. 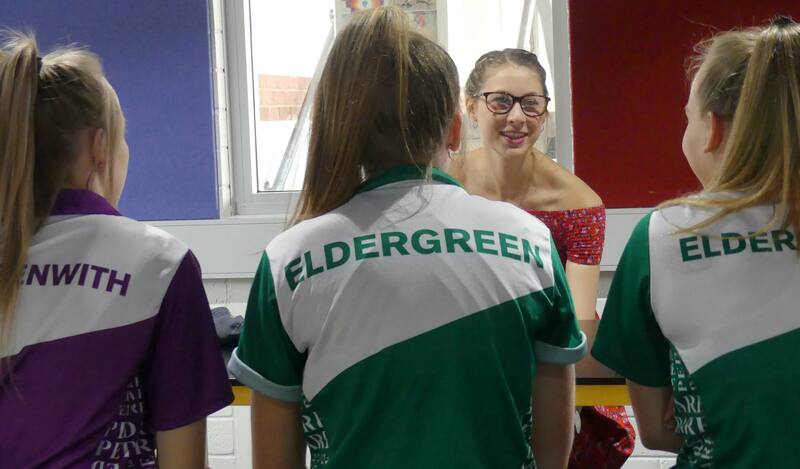 New Year 8 student Irina Tarchynska broke three records across her four events, Liam Crossland and Oscar Dunn also broke records in the 50m Freestyle and 50m Backstroke respectively. Students who had particularly strong individual performances will be formally recognised in the next assembly. Greenwith have maintained their stronghold on the Championship Shield, winning for the second consecutive year, ahead of runners up Hillcott who continue to show an impressive improvement. It is with great enthusiasm we prepare for Athletics day, where students will once again display their sporting talents. 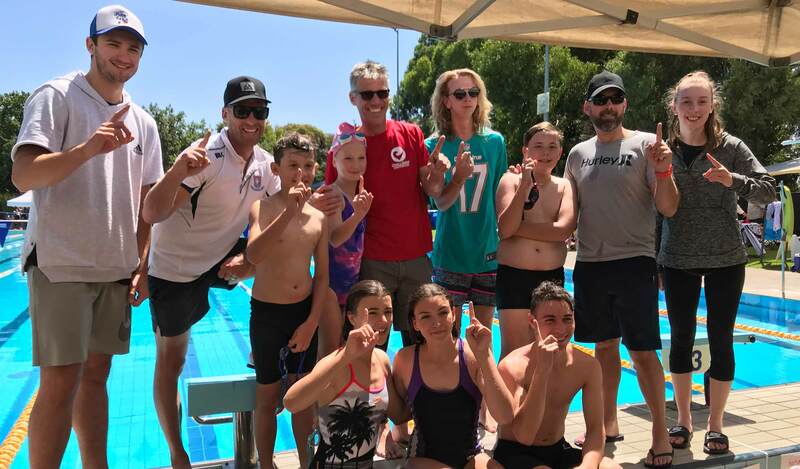 After the success of the 2017 MS Mighty Swim; we had the pleasure of entering a team to participate in the 2018 event, held on Saturday and Sunday, 10 and 11 February, at Unley Swimming Centre. The MS Mighty Swim is an amateur swimming event where teams compete to swim the longest distance in a set 24-hour period. The MS Mighty Swim has become one of Pedare’s most successful fundraising and participation events raising over $5500 in the 2016 and 2017 and bringing together many people from the Pedare community, to not only challenge themselves, but to be very proud of helping the Community. Participants use their love of swimming to help the MS Society raise money to minimise the impact of Multiple Sclerosis on individuals. This year, 20 Pedare students participated in this fundraising event, with $4400 being raised. Congratulations to Ryan Kopec who raised over $1300. Congratulations also go to the Pedare team for a great effort, coming in 2nd out of 15 other teams. Thank you to our parents and volunteers who assisted on the weekend; Mrs Sharon Booth, Mr Colin Smith, Mr Justin Lemar and Mrs Bonnie Kopec. 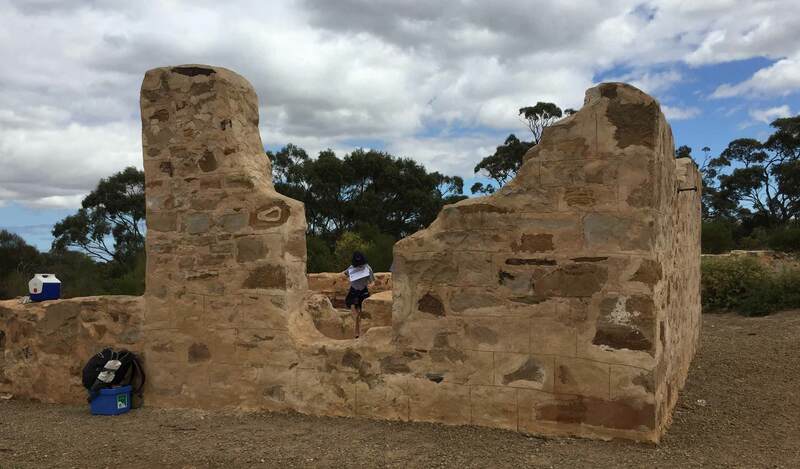 On Friday of Week 3, the Year 7 Geography class walked to Cobbler Creek Recreation Park to view the Teakle Ruins. This study involved exploring the ruins, learning about their history first-hand from volunteers at the ‘Friends of Cobbler Creek’ organisation and then some field work which involved mapping the ruins and making sketches of their layout. As part of a Geography exploration on the concept of ‘location’, students used critical thinking skills to determine reasons for the remote location of the settlement on the top of a vast hill away from water. The indigenous bush tucker of the area was also researched, showing reasons for human settlement and how earlier peoples lived a hunter/gatherer lifestyle during certain seasons in the area. The outing is part of an on-going study regarding human settlement in the Adelaide Hills and Plains over time. The Middle and Senior School Catford Library is a popular and busy place where students are supported in their learning and reading. 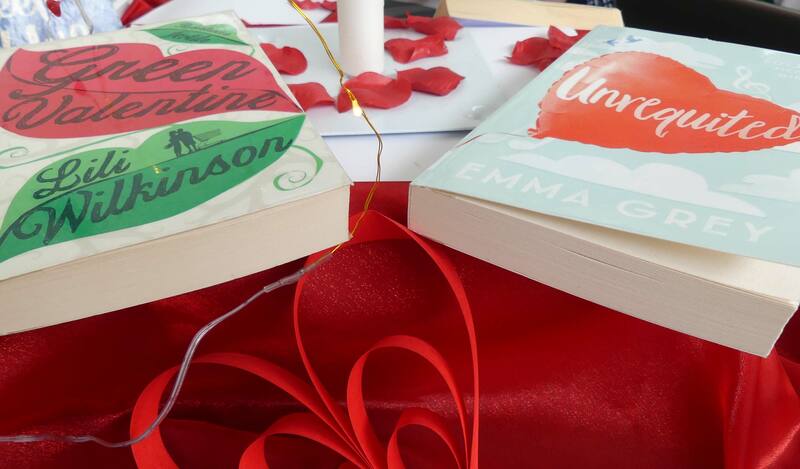 On Valentine’s Day, our patrons celebrated their love of reading on ‘Library Lovers Day’, along with other libraries across Australia, by coming into the library to borrow a book. The enticement of a chocolate helped a little. 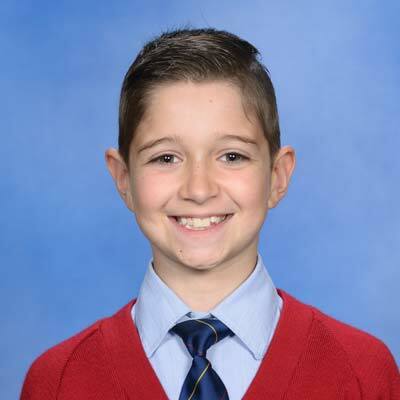 Congratulations Ashley Knight, Year 6, for achieving First Class Honours, with a score of 99/100 for his ANZCA Grade 1 Modern Guitar exam recently. Well done Ashley. On Saturday 17 February, Cricket – Primary 6/7 competed against Pembroke. Everyone fielded well – there wasn’t too many instances where a ball got through players on the field and their bowling was strong. Congratulations to Ryan Ansari for his 2 wickets, with good catches to Bailey Winder and Ryan Penna, and to Jaskaran Singh for his wicket (bowled). Ben De Conno counted balls for both innings, so well done to William Terrington for his 6 from 18, well done also to Zac Griffiths for his 10 from 16, including a 6*, and to Ryan Penna with 15 from 17, including a monster 6 which hit the practice nets on the full. A delightful clip off his legs! Well done to the whole team for a great effort. Final score – Loss 3/1/10 to 7/67. Meets Friday each week at 7:30pm. Come for a great time of games, friendship and bible discussion. Next meets on Friday 2 March. For information about 2018 SWAT Youth, phone Dave on 0403 723 953 or click here.